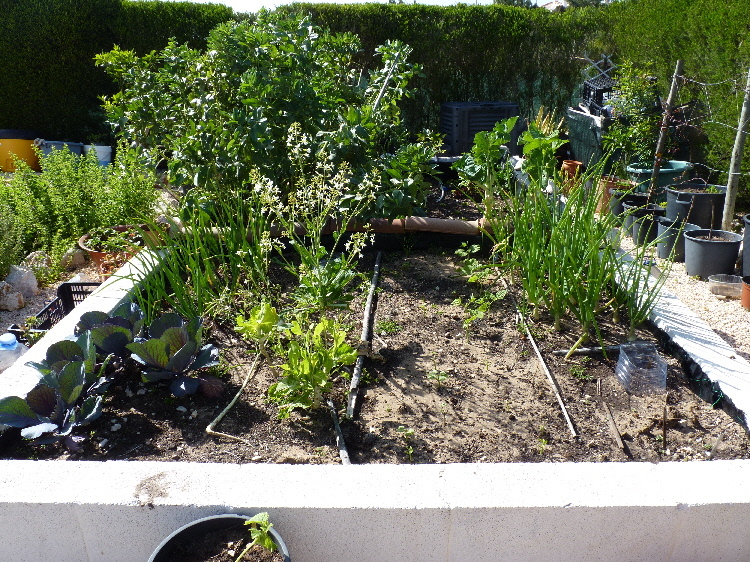 This year I’m keeping a photographic diary of my humble vegetable garden. In theory, if I take photographs on the 19th of each month they will offer a direct comparison as to what’s growing when, where and how well. The purpose of the exercise is to provide a record for next year so I can learn from my successes and, hopefully my not too many failures. 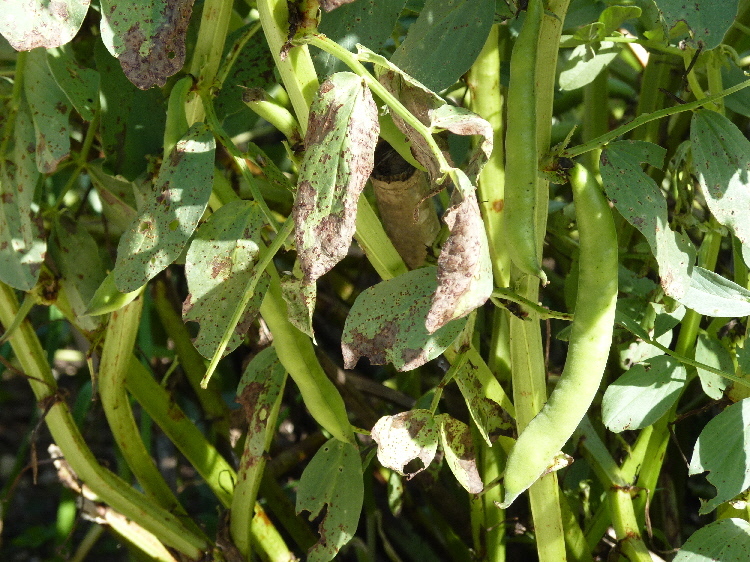 Weeks of nigh on continuous rain has resulted in my broad beans developing rust. Apparently rust is an airborne fungal infection. You can spray the fungus with a 1 part milk to 10 parts water mix which also works on powdery mildew on any of the cucurbit family (zucchini, cucumber, pumpkin, squash). I hope he does not mind me quoting his words, but I thought the tip was worth sharing. Unfortunately, I ignored the signs and lost my remaining crop. A valuable lesson learned for next year! 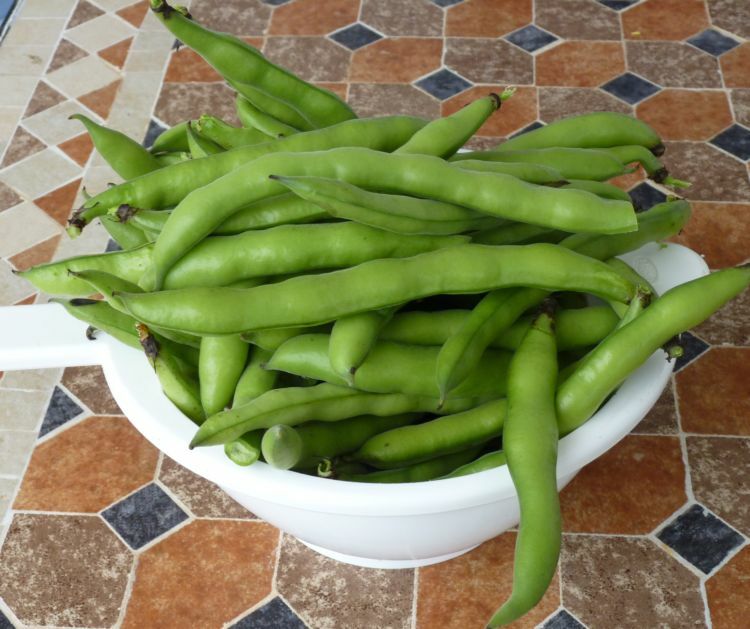 Thankfully, I did manage to harvest several kilos of favas (broad beans) before I removed the infected crop. Check out my delicious Salada da Favas. 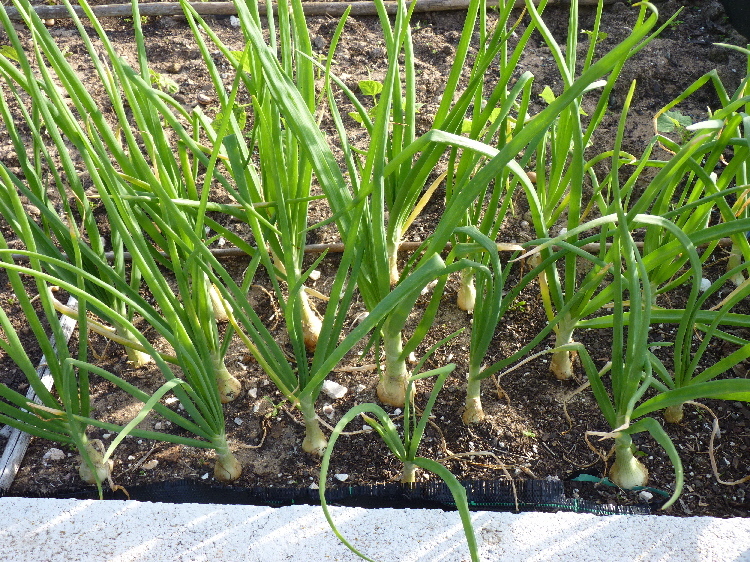 The onions, planted in mid November continue to thrive. 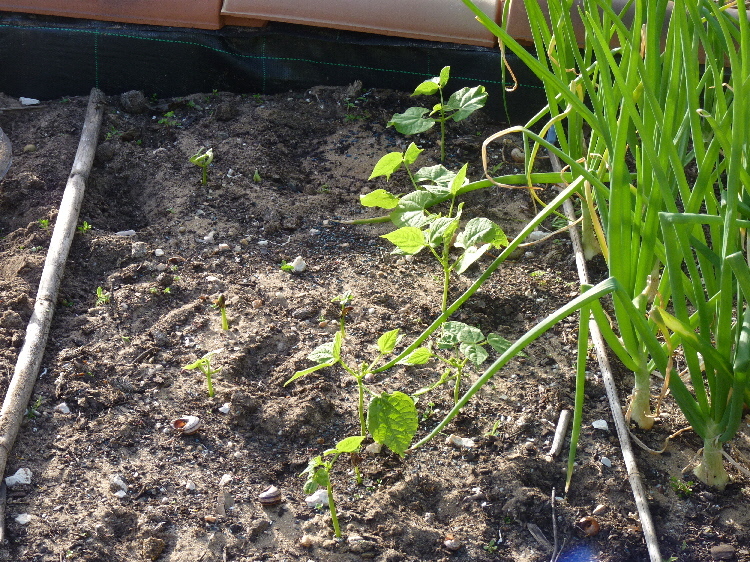 Much to the delight of the snails and slugs the french bean seeds, planted on the 13th March, are peeping through the soil . In desperation I did scatter some organic slug pellets. (Piglet hangs her head in shame). However, an army of ants removed them in the dead of night. 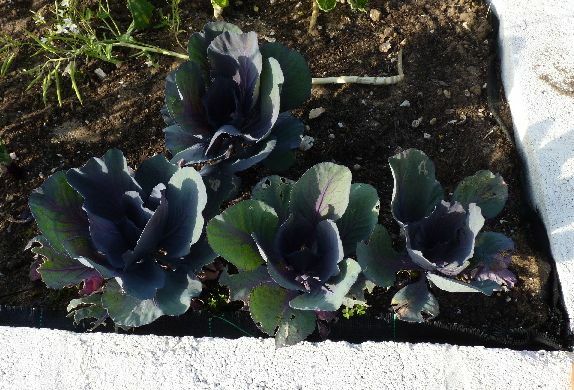 This year I only planted four red cabbages. Last year I planted twelve which was far too many. 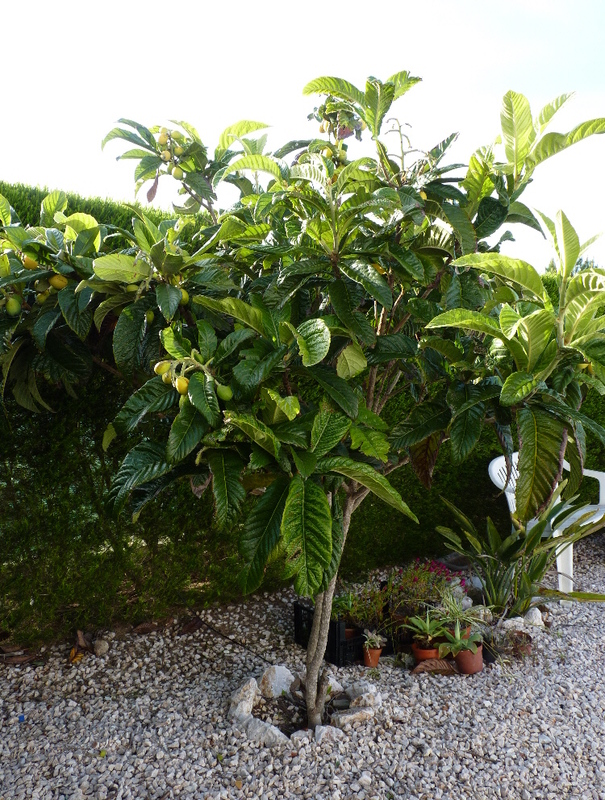 Our nespra (loquat) tree is now 6 years old and this is the first year we’ve had an abundance of fruit. In fact, I’ve even made some nespra and onion chutney. Researching loquats on Wiki I discovered they are high in Pectin. I think I will freeze some and then add to my strawberry jam. The loquat has a high sugar, acid, and pectin content. 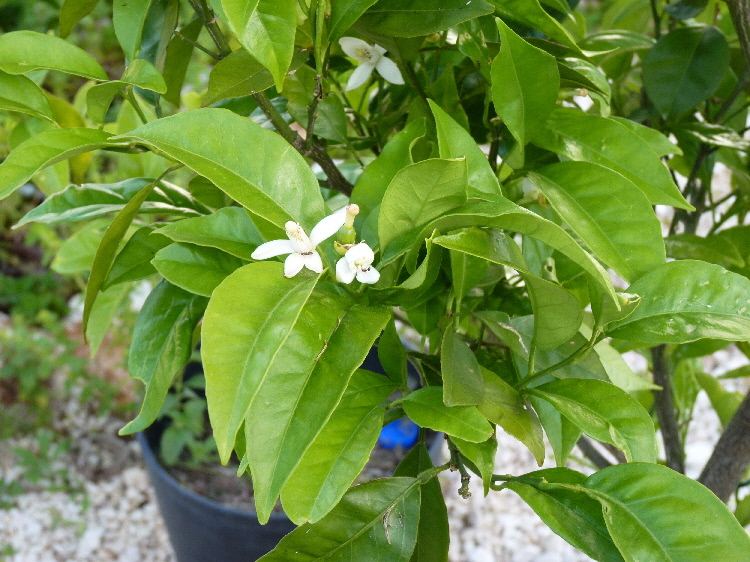 It is eaten as a fresh fruit and mixes well with other fruits in fresh fruit salads or fruit cups. The fruits are also commonly used to make jam, jelly, and chutney, and are often served poached in light syrup. Firm, slightly immature fruits are best for making pies or tarts. Last year we had blossom, then tiny oranges however, they withered and died for no apparent reason. This year fingers are firmly crossed the oranges will set and we will be eating our own home-grown oranges by Christmas. 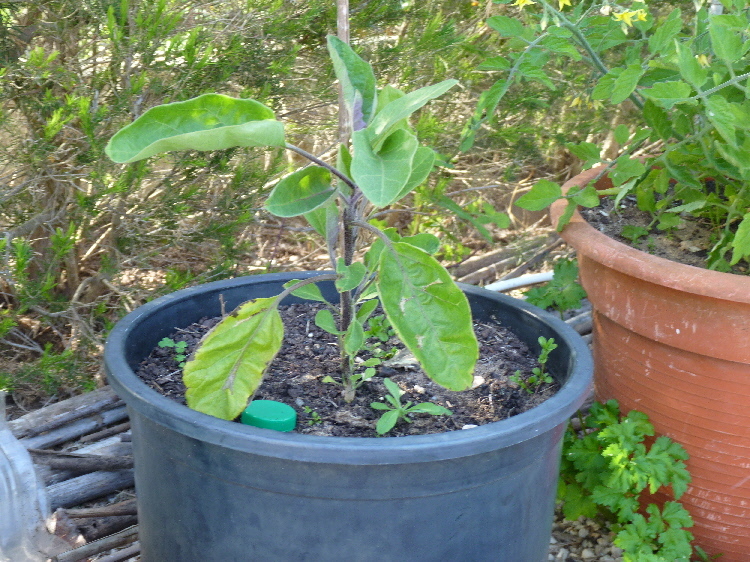 I now have three peach trees growing in pots which were all looking healthy until two developed a strange disfiguration to the leaves. 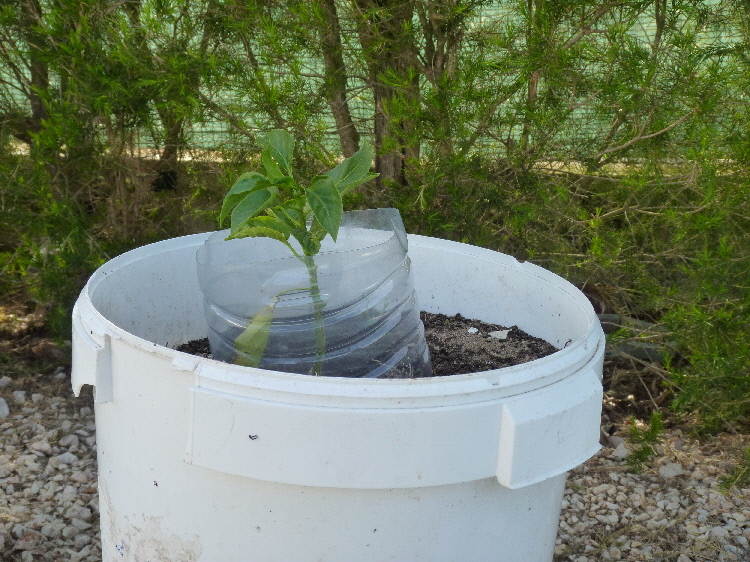 The pot is a recycled plastic paint container. 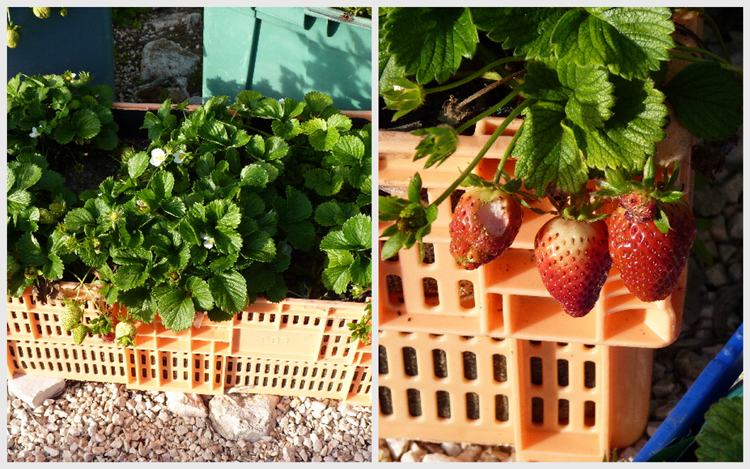 My strawberry plants just started to yield a bumper crop and we went away for two weeks. Sigh… Still there were still plenty when we returned. They are so sweet and far more flavoursom than the forced strawberries we used to uy in the supermarkets. 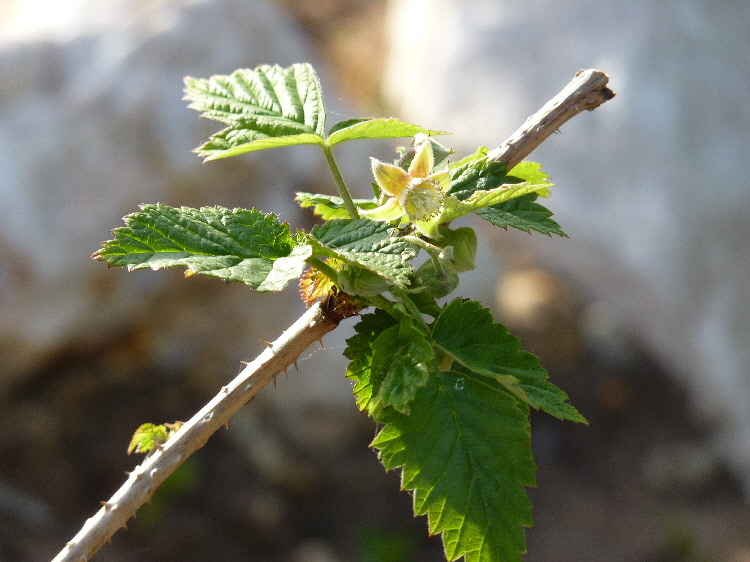 I’ve never grown raspberries before, not even in the UK so not quite sure the best way to care for them. I have three growing in pots and another three in the ground. All are doing well, so fingers crossed. I only planted these on the 13th March! Have you noticed the container in which they are planted? This is definitely pushing the meaning of “salad bowl” to the limits. I bought two aubergine plugs back in February. One I planted in a pot, the other in the ground. My intention was to make a direct comparison, month by month. Unfortunately, I forgot to take the other photo. If I had a brain I’d be dangerous. 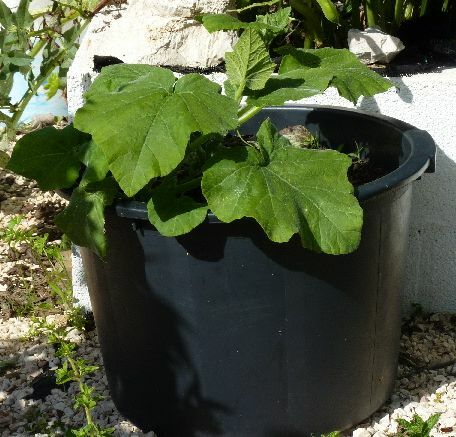 This pot was originally home to cucumber plants which fell victim one night to snails on a recki mission. 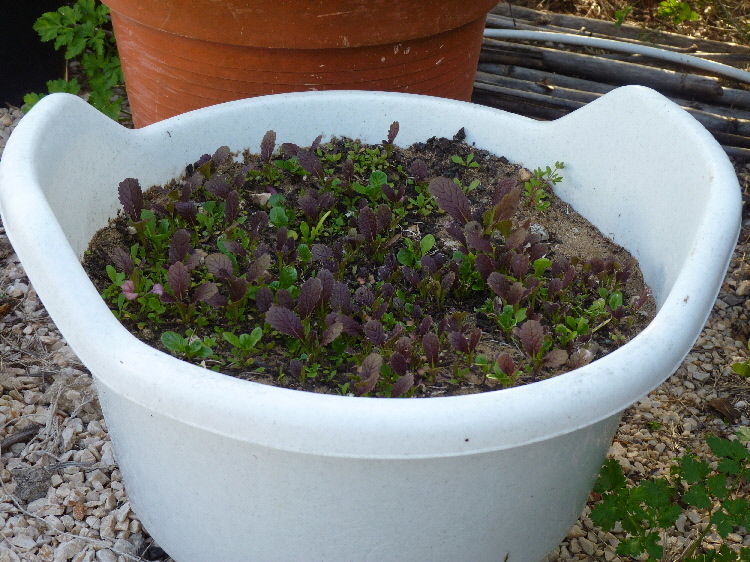 Then about a week later, three seedlings appeared from nowhere. I called them a gift from God, because was I cursing those wretched snails. I don’t know what these are – maybe melons? Tales from France – you must be joking! Your post and pictures make me hungry for fresh food. It sounds strange and looks weird (to borderline gross depending on how many slugs) but my mother put bowls with beer in them. The slugs were drawn to them like magnets and left the plants alone. Hi Chris, I must try the beer trap. We went away for a fortnight to France during April, so the pellets were the easiest option to leave for the baby sitters. I really do need to buy some beer and do this, because it does work. Sorry to hear about your apartment’s lack of sun. I can’t imagine living without sun and my plants. Great information for when I start my veg plot next year. I’m not very green fingered and have even nurtured weeds, thinking they were the seedlings which never did appear. Hi alicia, neither am I very green fingered! It’s my enthusiasm and pig -headedness which drives me on 🙂 I once nurtured weeds a friend gave me once. She told me it wa French Tarragon. I even used it in cooking! I then looked around my garden and thought hang on…it was a pigging weed! I finally planted tomato seeds in a pot and have little shoots about 2″ tall so we’ll see – thanks for your inspiration! I’ll keep you posted (pun intended)! It’s a great garden. The Broad Beans are so large that I’m surprised. Hi Coco, they would have grown a lot larger. But I nipped out the tops of the plants. 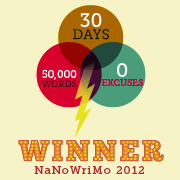 Congratulations, PiP. It looks like you’ve got a really good start. I think the winter gardening is easier than summer. Great to see you love gardening and your veg patch like I do! My passion is tomatoes. I used to have a seedbank of over 200 old and exotic tomatoes, but after the move I lost most of them. 😦 Still there are 8 wonderful varieties growing at the moment. Russians, Turkish, and an heirloom Pineapple among them. Awww Pip, you so make me want to have the room to plant a garden! Meant to comment before on the use of manure, it’s supposed to be well rotted & in the case of horse manure that’s about 2 years in uk weather however manure will nearly always contain weed seeds. At our allotment we put the manure into hessian sack and then suspend in a tank of water, agitating every couple of days, after a week you will have a great liquid feed and no weed seeds! Avoid splashing foliage as it will leave marks. Thanks for the suggestion re liquid feed. Did you dilute it before watering the plants? Re: Liquid feed. 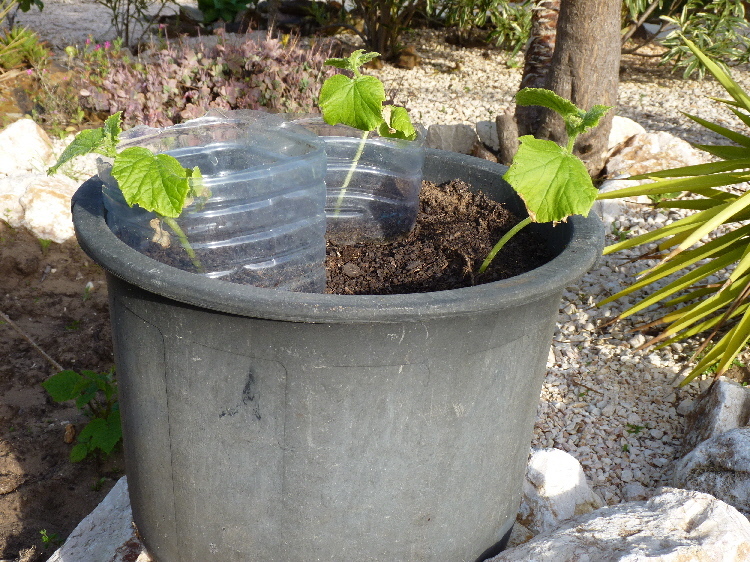 No need to dilute, just avoid any foliage and water atound the base of the plant. Thanks for sharing the tip about the milk and water. We are planting zucchini plants in a few weeks along with cucumbers. We haven’t had an issue in the past but every year is different! Well done to you PiP. Now you have me lusting after really fresh, ripe strawberries instead o the half green tasteless ones we get here. I took a picture of my rather pathetic looking space this morning. Hope something grows real soon. Yours looks fantastic. It’s only when we look back do we realise how much our garden changes. We are blessed here with sun and rain. Lovely to walk around your garden again. Have used the milk/water concoction with reasonable success. Our summer weather oft being very humid the fungus spreads as you watch! But those broad beans were still worth it. Becoming more ‘greenie’ by the day, was able to access some very attractive hanging contraptions with holes all around and am in the process of replanting all my strawberries into those and hanging them up where all my hanging flower baskets were under the back eaves! We’ll see . . . looking forwards to this month’s progress from you 🙂 ! I used to wrtie everything down on scraps of paper which I then lost. This way I know where to find it! Kudos to you that all your hard work is paying off. I haven’t a green thumb so I have nothing to offer except my being completely impressed. Grow on! Thanks Linda 🙂 It’s hard work when it’s hot. Pip, your peach tree has a fungal disease called peach leaf curl. It’s spread through the tree by rain dripping from one leaf to the next, so anytime you see leaves like these you should pluck them from the tree promptly, it can spread like wildfire if unchecked. 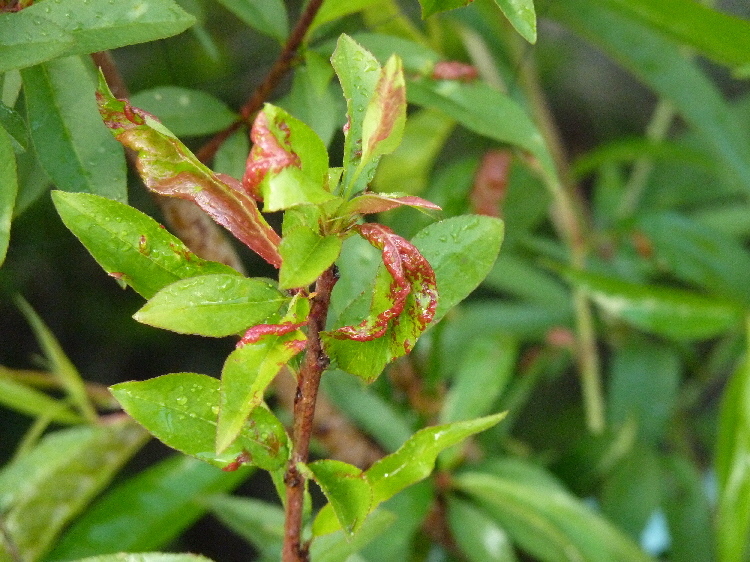 Once the cool rainy spring weather has passed the disease will too, as long as you’ve kept on top of plucking affected leaves. It’s such a common disease where I live that we have to grow peaches sheltered from rain – my peach tree is espaliered on a sunny fence and my husband built a small ‘roof’ over the tree to shelter it. I didn’t know that nespra fruits had such a high pectin content.